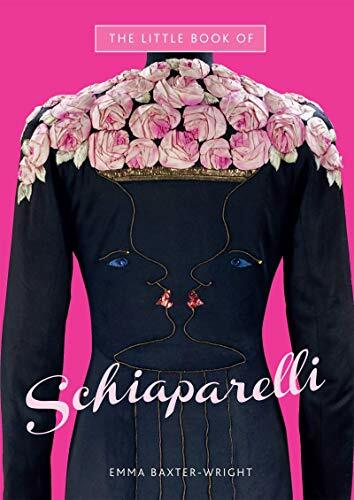 This monograph on couturier Elsa Schiaparelli chronicles the work of one of history's most influential and eccentric couturiers. Endowed with a strikingly imaginative and experimental approach to fashion, she cultivated the combination of the witty and the surreal, the cutting edge and the elegant, from her jewellery and shoe designs to her collaborations with Salvador Dali, Jean Cocteau and Alberto Giacometti. The book follows a biographical chronology detailing her life and career, with chapters organized into collections, collaborations and themes such as surrealism, her use of colour and her perfume line. Beautiful photography of her finished designs, along with close-up details, and illustrations of her personal sketches showcase the brilliancy of her innovation. Having studied fashion at Central Saint Martins College of Art and Design and history of art at Bristol University, Emma Baxter-Wright taught at the London College of Fashion. She has contributed to many publications, such as The Face, Cosmopolitan and Marie Claire, and is the author of Duffy, a photo-book on the English fashion photographer Brian Duffy, and a contributing author of Vintage Fashion. Emma lives in Gloucestershire, England.